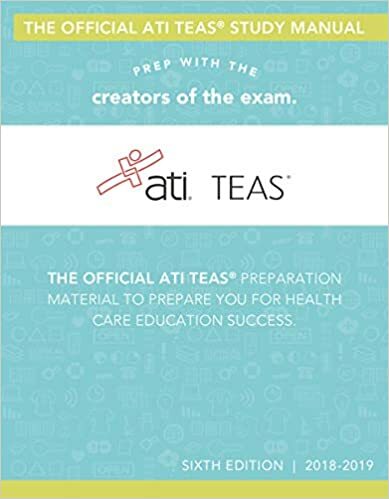 UCF Continuing Education has developed a high quality, 27-hour, 9 session comprehensive TEAS (Test of Essential Academic Skills) Review to provide students with the knowledge to achieve top scores on the ATI TEAS exam's Reading Comprehension, Mathematics, Science, and English and Language Usage sections. Our multi-session program will provide you with successful test taking strategies and maximize your potential as a nursing program applicant. Our TEAS review program is taught by professional instructors who are able to connect with students to convey important test information and provide understandable problem solving methods that are easy to remember and apply. Awilda Delgado earned her Bachelor's and Master's degrees in Mathematics at the University of Central Florida. She has also completed all of her coursework in the Ph.D. program in Curriculum and Instruction at Florida Atlantic University. Awilda served seven years as a faculty administrator at UCF before following her true passion of teaching, which she has been doing full-time over the past 13 years. In her classes, she is known to be encouraging, patient, caring, and flexible. Her classes are also very interactive, with students frequently working together to discuss problems and strategies. Awilda comes to class very prepared, but she understands that each class must mold itself to the individual needs of the students. In addition to teaching students in traditional academic settings, Awilda also believes that every student should receive the best possible preparation for succeeding on standardized test since a strong score can often open many new doors! That is why she chose to begin teaching with UCF Test Prep more than 10 years ago and is still as passionate about test prep courses today. So come to class with an "I can do this" attitude, work hard both in and out of class, and together you will reach your testing goals! Jeslin Kera is a certified tutor and supplemental instructions leader at UCF SARC for several subjects including Statistics, Chemistry 1 and 2, Organic Chemistry 1 and 2, and Physiology. She has also been a teaching assistant for Immunology, Microbiology, and Human Anatomy. She has a significant amount of experience in teaching large groups of students varying 4 to 180 students per session. Jeslin also has extensive experience in supporting and guiding struggling students. Even in a group setting, she is able to focus on students individually and stimulate their process of understanding. She has been recognized as a proficient tutor and is now mentoring the other UCF tutors. She scored extremely well in all her classes at UCF (high A's; 97th-100th percentile) and in American Chemical Society's (ACS) nationally standardized Exams (97th percentile). In 2013, Jeslin was awarded the honor of being her high school's Valedictorian and in 2015, she was the recipient of the Women's Achievement award and the UCF College of Medicine Founder's Scholarship. As a result of vast and diverse educational experience, Jeslin has acquired skills that will help every single student succeed in their educational endeavors. Nikia Toomey is a UCF SARC Supplemental Instruction Leader and Tutor for Microbiology, Biology II and Calculus II. She has previous experience being a Biology I Teaching Assistant and Human Anatomy Teaching Assistant. She has scored a 38 on the Medical College Admissions Test (MCAT) examination, which is in the 99th percentile. She also scored extremely well in the Physical and Biological Sciences (100th and 98th percentiles), American Chemical Society's (ACS) nationally standardized General Chemistry final exam (98th percentile) and ACS standardized Organic Chemistry final exam (96th percentile). The Mometrix textbook is a recommended resource to use while studying for the TEAS. This textbook is NOT required for the TEAS review. The TEAS is often used to determine the ability of potential students to adjust to a nursing program. Not all nursing schools have the same admission requirements. Check with the college or university of your choice to see what is required for admissions. UCF Continuing Education only provides test preparation review courses and does not provide registration for the actual exam. Please click the link below to get more details on the ATI TEAS or to register for the ATI TEAS. The University Testing Center offers the ATI TEAS onsite at UCF for nursing student applicants. Find out more.